No, not 23rd June 2016, the day democracy died was 24th June 2016, when a bunch of self righteous, obsessed and vitriolic fools believed they knew better than the other side and decided that because a vote didn’t go their way it should be retrospectively invalidated and that the process simply had to be repeated until it did go their way. It was the day when people decried those people over 65 and declared their views didn’t matter because they simply weren’t going to live long enough for them to see out their choices. It was the day one side decided the only reason the other side had voted against them was that they were bigoted, xenophobic morons without a single redeeming feature and therefore were unqualified to have an opinion. Congratulations, this is the day you asked for democracy to be killed in your name, this is the day you gave a government an opportunity to overturn an electoral result it didn’t like, this is the day you asked for the ability to disenfranchise people who have spent their entire lives in this country working on its behalf because they aren’t going to live that long anyway, this is the day democracy died! Basecoating was a little messier than I thought, but it all went well enough, the main paint of Vallejo Model Air Steel went on really well, I still added a couple of brushes of thinner into it, but it probably wasn’t necessary, it certainly didn’t hurt. The new airbrush turned up between the basecoating and the main colour, it’s so much better than the old one, freaking bargain for £20 delivered if you ask me. Anyway, I really should have dealt with the rear end of the Battleship before painting, when checking over the model after painting I saw it was horribly deformed with flashing from the mould and stunningly boring. I should have photographed it before getting to work on it, but I didn’t even think about it, just got straight in there with my files and micro drill, pictures of the finished article to follow on the next post. The Hawker Industries Carrier Group set turned up after I’d finished the main painting, so flashing removal, scrubbing and prepping for more basecoating and main painting, pictures also to follow, I also remembered to do the rear end of the carrier. Whoops, not quite a year since my last post, wonder if I’ll remember to keep updating the Painting Log? Anyway, after a year or so dicking around with an airbrush I’ve decided to put some effort into getting it working properly, upgraded the compressor, bought a 3rd airbrush, moving the single action jobby on, I don’t do enough with it and it’s just sitting there looking accusingly at me. To be continued … Hopefully, full speed ahead and damn the ADD. First up, some warm soapy water and a toothbrush to clean off any mold releasing agent, followed by a primer basecoat in black. Tonight I’m going to be doing a test run with a main coat of Steel coloured paint, new post tomorrow depending on how that goes. What can I say, I’m a sucker for a gadget and boy is this a gadget. First a word of warning, if you think you might like one of these, try one on first, it is an odd shape and rather chunky, also I bought the largest strap they do and it is on third from last hole. The battery life is excellent, it lasted a full round of golf whilst GPS tracking and still had battery to spare, despite getting caught behind “the four ball of creeping doom” and pushing our overall time on the course up to 4 hours and 20 minutes, we won’t discuss how the GPS accurately watched me meander all over the fairways. Without GPS Fitbit claim a week of battery life and I could easily believe it, I haven’t tried a full to dead test as I’m not 100% keen on draining the battery to those levels, once you’ve experienced an android phone in deep hibernation you like to keep a little spare juice in everything. Along with the steps taken in a day and the number of floors climbed, I’ve also got mine constantly monitoring my heart rate(because why wouldn’t you) so I suspect the battery life will be less than optimal. I’ve also found out that I’m sleeping a lot less than I thought I was, which is apparently bad for you, so I shall be making a conscious effort to get a couple more hours of sleep a night. Now the information is all being gathered and it would not do any good unless it were available on a dashboard somewhere so that you can view and make sense of it all. This image was taken from The Fitbit Blog where they discuss the updates and all things Fitbit. There’s an app for the iPhone and sadly that’s the one you get on the iPad too, but it’s a solid app and shows you the data you may be looking for and also, and this is crucial for me, allows you to back up the data from the surge to the cloud if there’s any danger of running out of juice, hopefully no more lost data due to an ebbing battery. You can get one from here for £199. I’ve no doubt if you search around you can find one a bit cheaper, but if like me you have a hard time waiting then go straight to the source baby!! 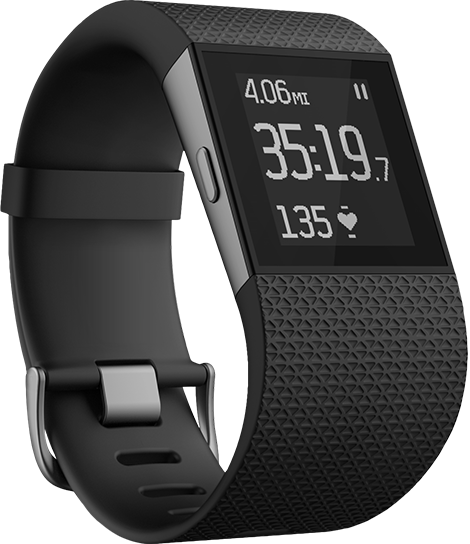 Overall, the Fitbit Surge gets a massive thumbs up from me. Dark and Gritty – D&D Need not apply? Here’s a quandary I’ve been pondering. I have spent a lot of time preparing a campaign land for our local RPG group, it all started off quite simply, I wanted a place that was not your typical and hackneyed fantasy trope, so points of light was out, as was the kingdom in peril, the long established empire in decline, the death of magic, the birth of a new era, the … you get the point. I needed to answer a few questions to get to where I wanted. Where was the peril going to come from, what need would this land have of adventurers? How did every day life reflect the surrounding differentness? The advent of D&D 5e has changed a number of things, for instance the power curve is a lot flatter than it used to be, the proficiency bonus only incrementing after 4 levels helps, this means the main difference between a 1st level character and a 4th level character is the number of hit points/hit die they have and whilst I agree that makes a big difference it also means a bunch of 1st levels can at least have a go. So what now if we take everybody in the land and give them military service, so everyone has at least 3 levels of a character class. Now the reason for this military service is they’re holding back a huge threat to the rest of the world, there’s a worldscar, it’s black, it’s huge and it’s a gateway to the hells of this planet. I’m going to go a bit more radical here and say that of all the races on the planet, only humans are resistant to possession by the demons that live in the hells, this effectively makes the land resistant to the other races living there. I’d go so far as to say the only non-humans in this land are slaves and are absolutely not allowed to become powerful in any way, this doesn’t mean they have to be treated badly, but they cannot own anything, they cannot be taught to read or write, they cannot aspire to be anything other than a slave. The people of this land are very insular, they don’t talk about the hellgate, they watch, they guard and they fight when needed. From the outside, without all the information available, the land these people live in seems dark, hideous and not a little fascist. Of course there are good reasons for the fascism but without all the details there might just be some people who want to change things for the “better”. It’s really strange the things that set off a creative stream for me, for instance the title of this post was a line from a new TV show called “The Messengers”, it was used as a harbinger in the show and when I heard it I had to stop the playback and think. That was a couple of weeks back, now I have the outline for a 3rd Ed. Chill RPG campaign set around a small town in the UK. Looking around I wonder if it’s the same for other people, what sets them off, am I weird? I’m also using this as a test for using the automatic posting of a blog post from Word 2013, we’ll see if it works.